Opinion polls show that most Hong Kong citizens support the demand for “unfiltered” electoral choice, but also that many have qualms about possible disruption from protests. But Occupy Central says it will engage in nonviolent civil disobedience calibrated to avoid major disruption. 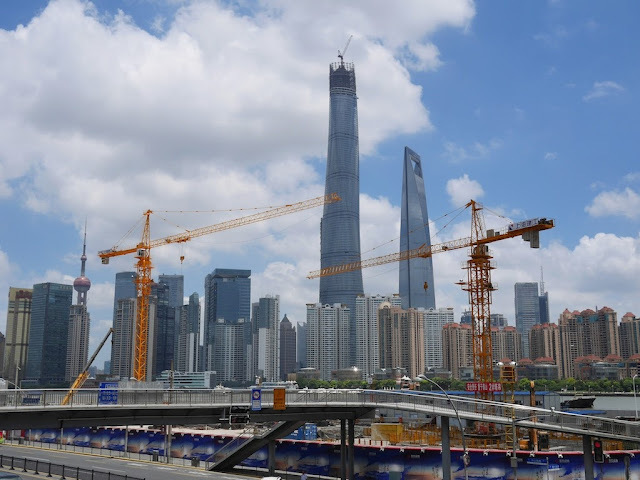 Its organizers have said that they do not plan to plunge immediately into any protests after the Chinese authorities announce their plans. Beijing's decision was not surprising. What happens next, though, seems harder to predict. 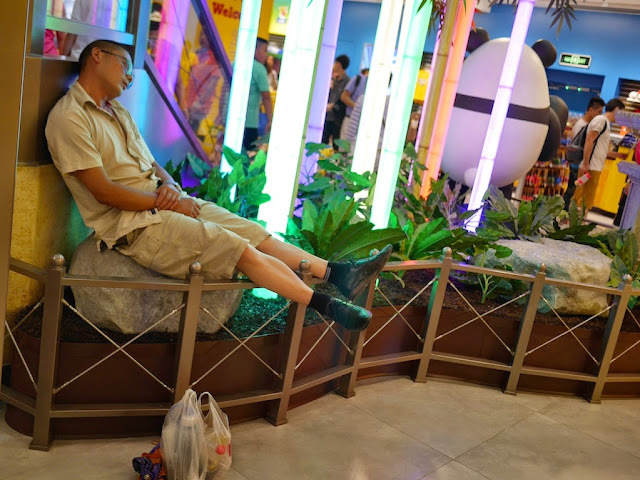 See "Live blog: Occupy Central leader declares 'era of civil disobedience' for Hong Kong" on the South China Morning Post for some of tonight's initial response in Hong Kong. “It’s a different world out there today. It’s not like when I was growing up, and we’d all play in an apple orchard and we were safe. Today, you just don’t know who’s out there,” said a lovely, well-meaning grandmother who was keeping an eagle-eye lookout on her grandchildren at a water park this summer while I let my kids do the water slides by themselves. Yes, it is a different world. It’s a safer world. It just doesn’t feel like it because we know too much. Back in the apple orchard and latchkey days, there were plenty of child molesters, killers and pervs lurking around. We simply didn’t talk about them and didn’t hear about what they did. Dvorak's piece isn't just about raising children but also speaks to the challenges in evaluating everyday risk and how the good old days aren't always as good as people think. 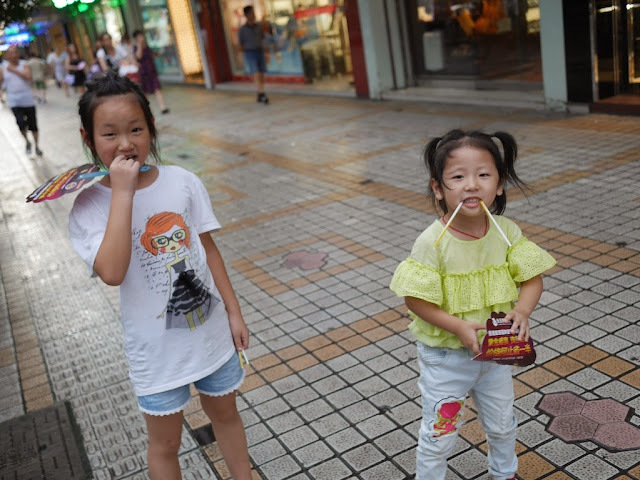 And it reminds me of how I have seen children in China in some ways leading far freer lives than many of those in the US. All issues worth pondering . . . 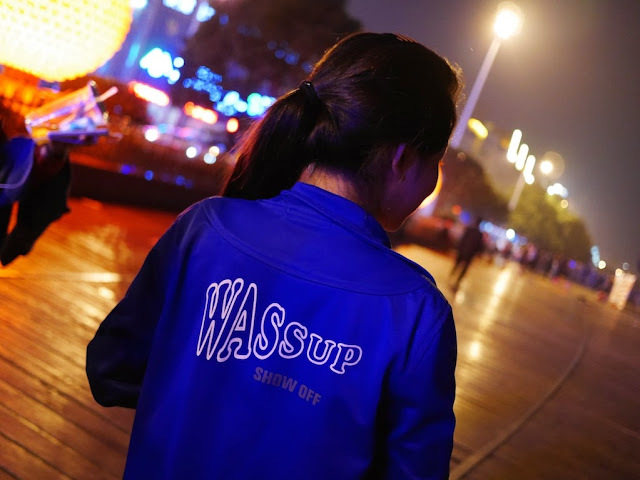 If you are wondering "wassup", despite the content of my most recent posts, I am not now in either Yangjiang or Hengyang, although I did briefly stop by Shanghai last month. More substantial and regular posting is on the way, including a mix of old and new topics and of course some highlights from my current location. Ferguson, Missouri, was just a place — a working-class suburb of St. Louis — before an unarmed black teenager, Michael Brown, was shot and killed by the police, before protests and looting erupted, before local forces responded with armored vehicles, tear gas and rubber bullets, and Ferguson became #Ferguson. 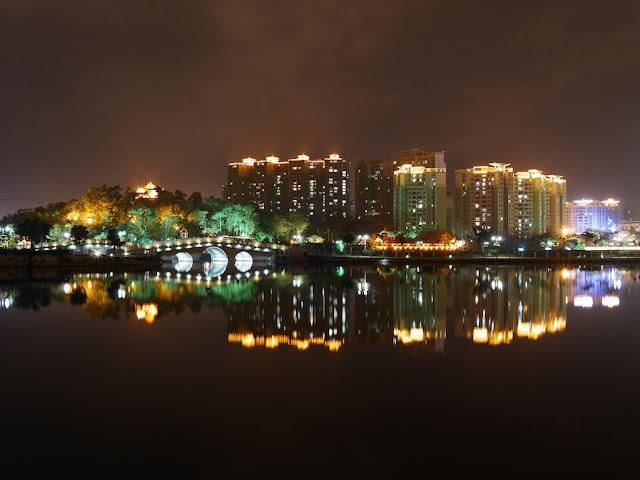 Although the politics and level of violence involved are different, there are plenty of similarities between Ferguson and Xinjiang [a region in northwestern China]. As alleged in the case of Mr. Brown, [Muslim] Uighur advocates accuse Chinese security forces of using deadly force against civilians who present no immediate threat. In both places, authorities have confronted lingering anger over racial discrimination with military-grade weaponry. And in Xinjiang, as in Ferguson, reporters have been detained while trying to put together an independent picture of events. "The only lasting solution is reconciliation among American communities and stronger Missouri security forces," Chinese President Xi Jinping said in a speech from his vacation home in Hainan. "However, we can and should support moderate forces who can bring stability to America. So we will continue to pursue a broader strategy that empowers Americans to confront this crisis." Xi's comments were widely taken as an indication that China would begin arming moderate factions in Missouri, in the hopes of overpowering rogue regime forces and preventing extremism from taking root. . . .
A Chinese Embassy official here declined to comment but urged all parties to exhibit restraint and respect for the rule of law. As anger erupted again on the streets of Ferguson, Missouri, a human rights team from Amnesty International worked on the ground in the US for the first time ever. . . .
Amnesty International, said it would be observing police and protester activity and gathering testimonies . . . But it is not. And like China's silence and possible U.S. responses to similar events elsewhere, Amnesty International's actions provide yet another perspective on a situation which is far more complicated than people simply needing to "settle down". 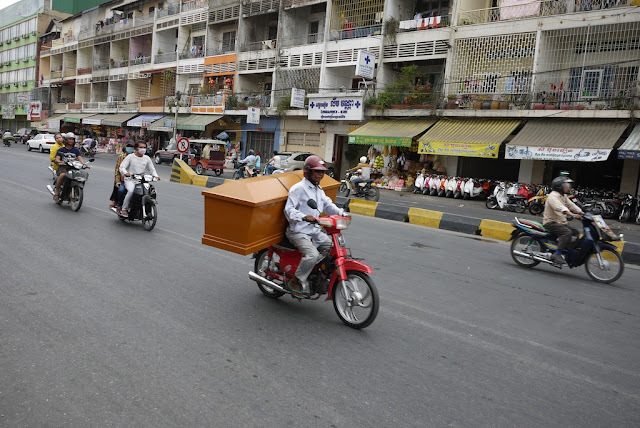 A man carrying a door on a motorbike earlier in Hengyang, China, earlier this year . . .
. . . reminded of a similar transportation involving a coffin in Phnom Penh, Cambodia, last year. Yet another unexpected connection . 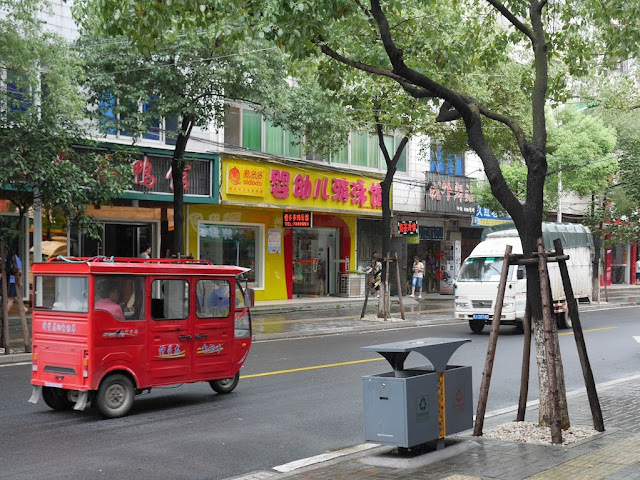 . .
Several recent articles about technology in China have caught my eye. Some I hope to comment on next week, but I suspect I wont make it to others. So for four of those, here are links, excerpts, and very brief comments. I would say China is the most competitive market in the world. There are so many local players, and some of them are not logical in how they do business. They don’t want to make money in the short term. We definitely don’t want to lose our leadership position in China, and we must balance growth in market share with profitability. It would be interesting to hear more of Yang's thoughts about the "not logical" local players and their long term potential. In little over a year, Xiaomi has risen from being a niche player to become the leading smart phone vendor in the world’s largest market, overtaking Samsung in volume terms in Q2. 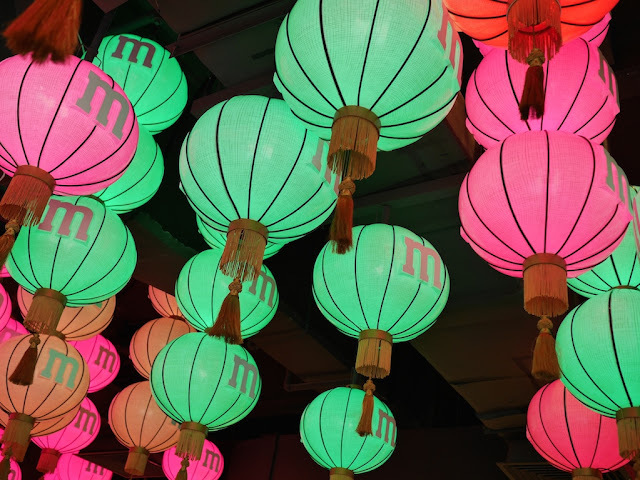 Xiaomi took a 14% share in China, on the back of 240% year-on-year growth. With Lenovo, Yulong, Huawei, BBK, ZTE, OPPO and K-Touch, the eight Chinese vendors in the top 10 together accounted for a total of 70.7 million units and a 65% market share. Though as someone from Lenovo might point out, higher volume doesn't necessarily mean higher profits. Like many premium brands, Burberry PLC had been fretting about a flood of discount Burberry products—some of them fakes—on Alibaba's two big marketplaces, which accounted for 80% of China's estimated $300 billion in online shopping last year. Burberry hadn't authorized any of those vendors to sell its goods. Alibaba would do its best to get those products off its sites if Burberry opened its own shop on Alibaba's online mall, Burberry was told, according to people familiar with the talks. Burberry opened a store on Alibaba's Tmall in April. 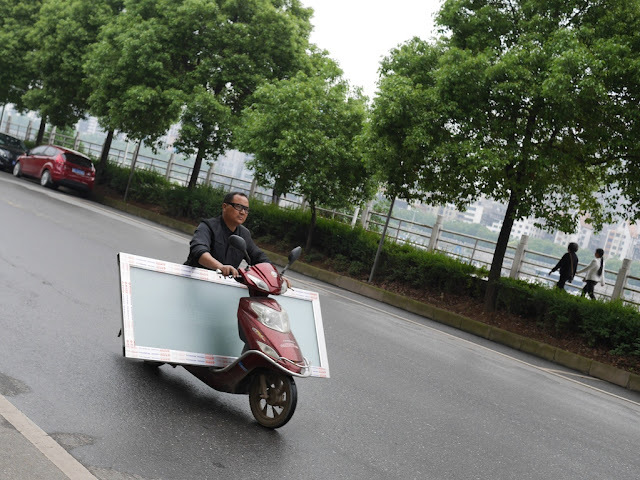 Some would say this is the pragmatic side of doing business in China. Apple Inc (AAPL.O) has begun keeping the personal data of some Chinese users on servers in mainland China, marking the first time the tech giant is storing user data on Chinese soil . . . The data will be kept on servers provided by China Telecom Corp Ltd (0728.HK), the country's third-largest wireless carrier, Apple said in a statement on Friday. The article notes a few issues this change raises, such as data access speeds and privacy. Relevant to these issues is a definition of "some Chinese users" that would indicate exactly who fits into this category. I haven't seen one yet. 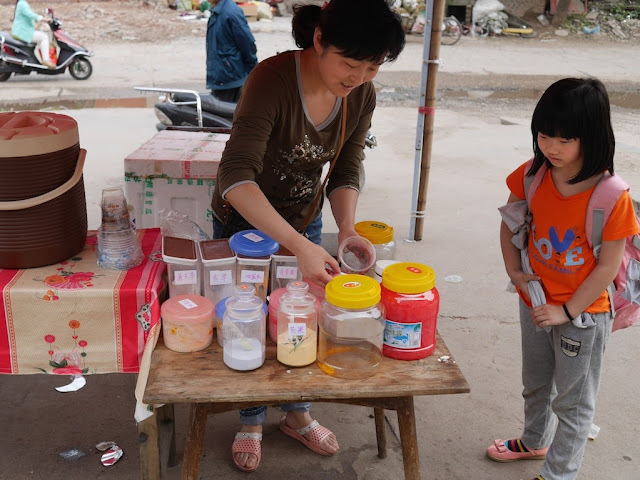 Black Tide in Hengyang sells inexpensive milk tea, but a street vendor near a Hengyang elementary school sells it more cheaply at only 2 RMB (about US $0.33). I tried the taro flavor. It didn't compare to Black Tide's milk tea, but, as the vendor's customers likely appreciate, it is hard to beat the price. 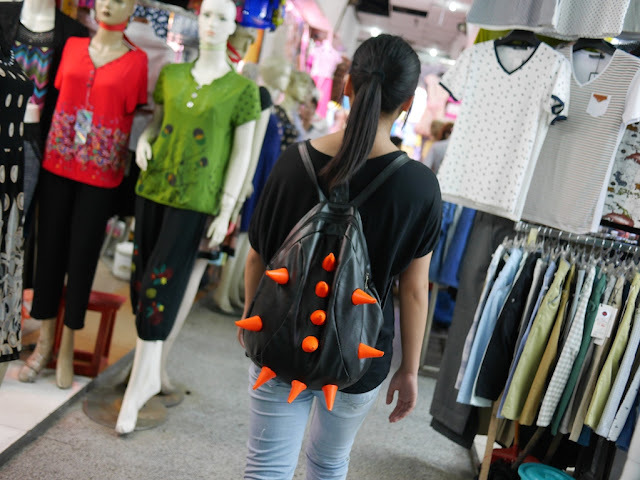 Like the Chinese clothing brand Weles, a Chinese brand of hair accessories with stores in a number of Chinese cities indicates its products are also sold outside of China in places such as Europe and the U.S. Unlike Weles, what attracted me to the brand was not a slogan. Instead, my interest in puns caused me to appreciate the non-Chinese name of 斐卡瑞 (Fěikǎruì) when I passed one of its stores in Shanghai. 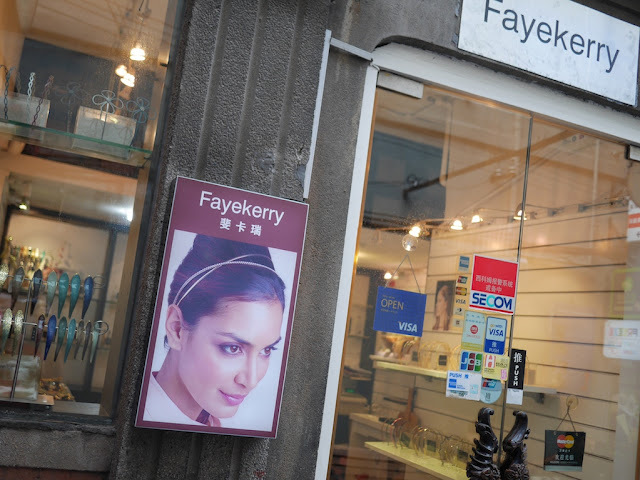 Whether or not the pun was intended, if any of their products appeal to you, a list of their stores should help you find a genuine Fayekerry in China. Weles (威兰西) is a Chinese women's clothing brand based in Fujian province. 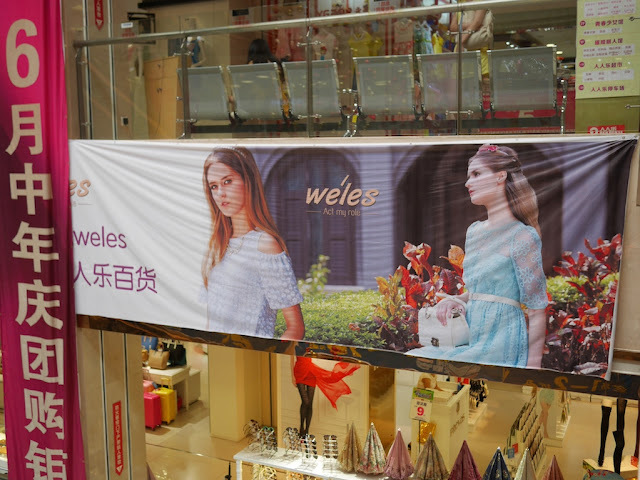 What first caused me to take a closer look at Weles was a sign hanging inside a department store in Hengyang, Hunan. I am still pondering the advertising slogan "Act my role". Whatever meaning one finds in the slogan, according to Weles the brand's name was inspired by the American actor and director Orson Welles. And the Weles website currently features images of a Caucasian female and includes nonfunctional icons for several online services popular elsewhere but blocked in China—Twitter, Facebook, and Google+. Weles appears to want to project a Western image and at least imply it is known in Western markets. It certainly would not be the only Chinese brand with such goals—a topic I will touch on again in the future. 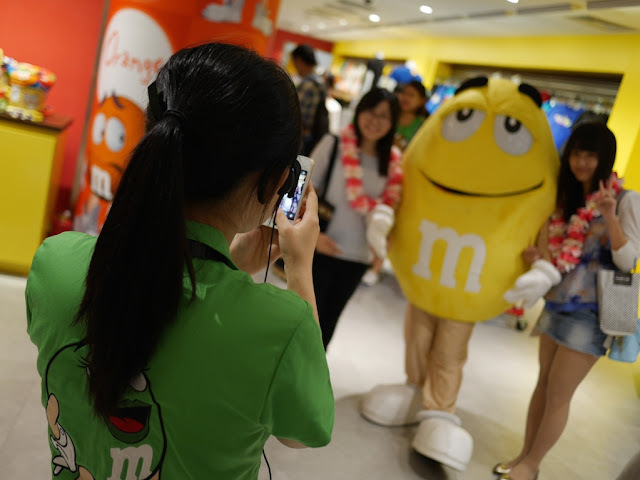 M&M’s is the world’s biggest chocolate brand and a popular and growing brand in China and across Asia. 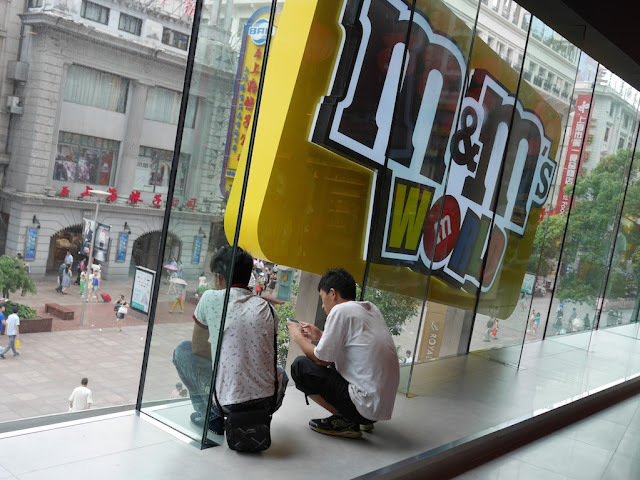 The brand, in partnership with Mars Retail Group, which operates the M&M’s World stores across the globe, selected Shanghai as the ideal city for the first M&M’s World store in Asia, due to the city’s truly global feel and appeal. 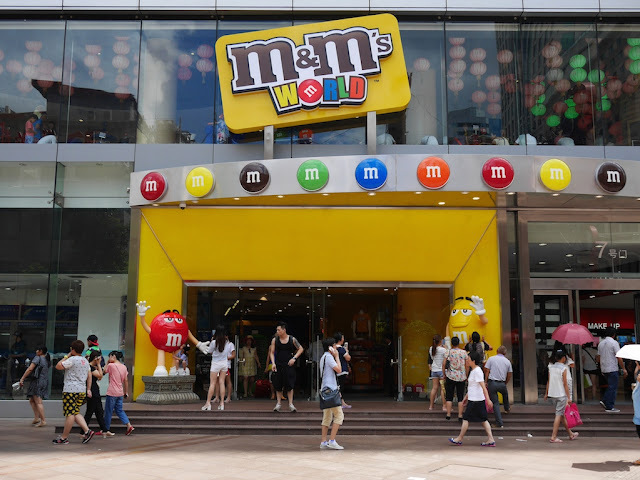 The location in the Brilliance Shimao International Plaza made perfect sense for the world’s biggest chocolate brand, as East Nanjing Road is the busiest pedestrian street in China and a highly visited tourist destination in Shanghai. 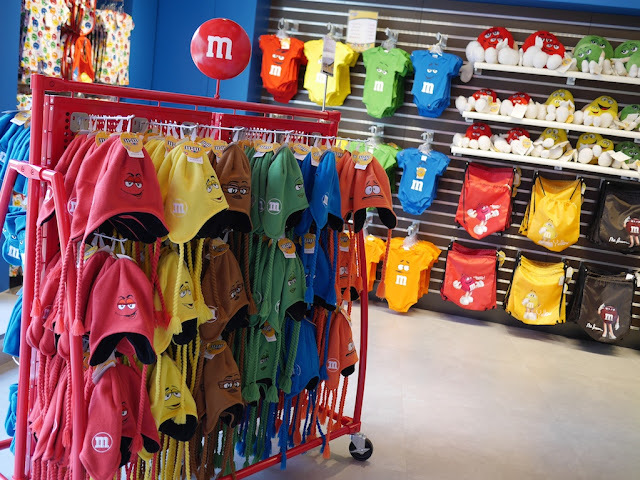 In addition to M&M's chocolate candies, the store sells a wide variety of M&M themed goods. And staff offer their assistance for the numerous photographic opportunities which beckon. During my visit on a Wednesday afternoon, the store was not packed but had a steady stream of visitors. Despite all of the attractions, though, a few people appeared less-than-captivated. 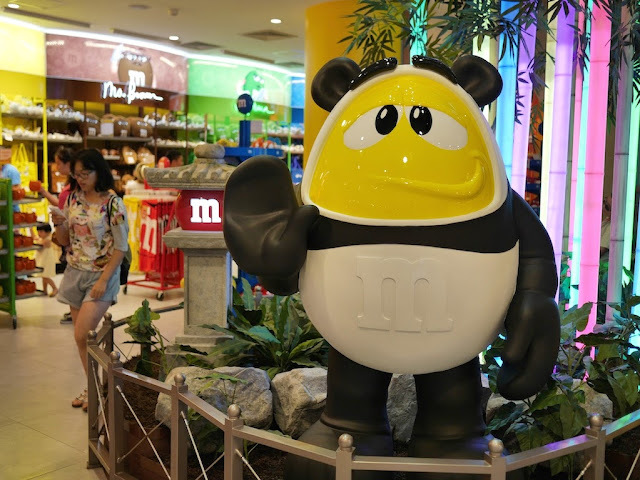 Of particular interest to me were the store's localizations for the Shanghai market—such as the Shanghai-themed shirts, Chinese lanterns, and M&M's characters in panda costumes. 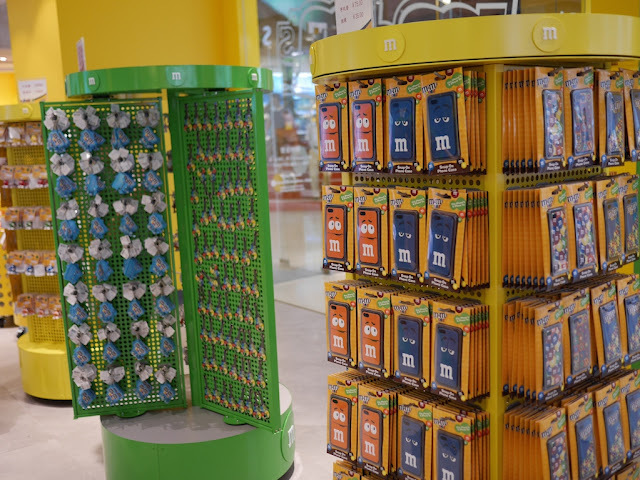 One stood out above the rest, and with mixed emotions I can now say I have seen the "Great Wall of Chocolate". 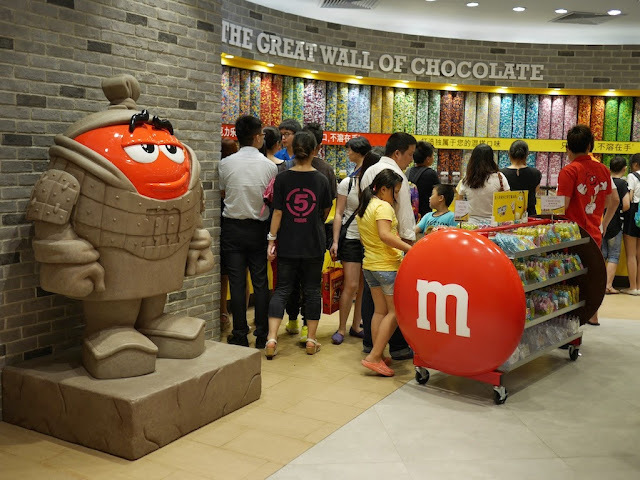 Regardless of the wall's apparent popularity, only time will tell for sure whether the store has lasting power similar to a more famous wall in China or faces the same fate as a Shanghai Barbie store. 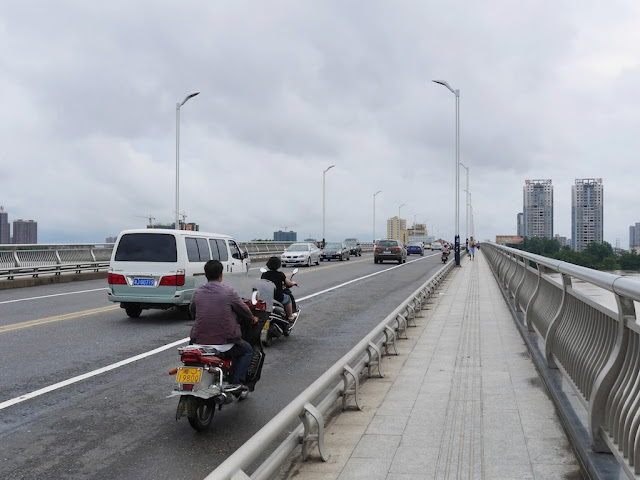 A photo of a bridge crossing a river in a set of Changde street scenes may have left some readers with questions. Yes, the areas on either side of the road appear to be sidewalks designed for pedestrians. 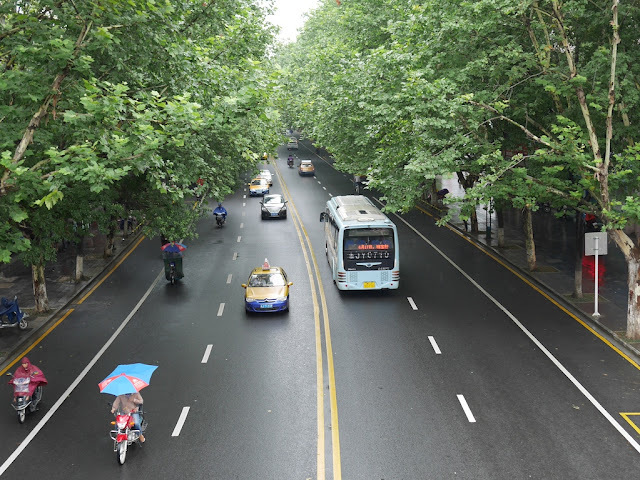 The common-in-China tactile guideway in their centers—for blind pedestrians and not motorbikes—is one clear sign. 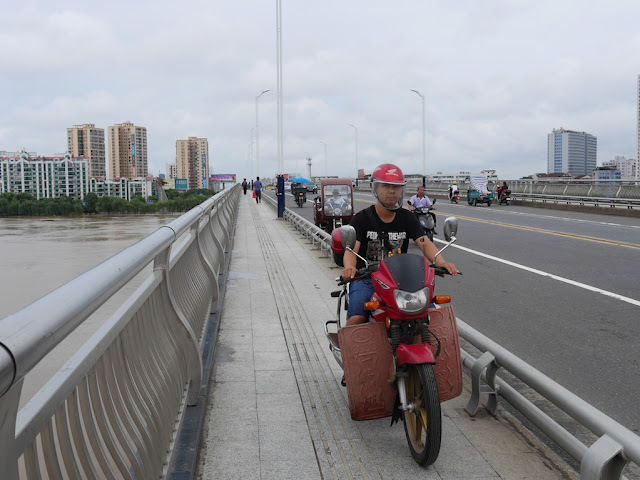 Yes, I saw a number of other motorbikes on the bridge's sidewalks during my two crossings. 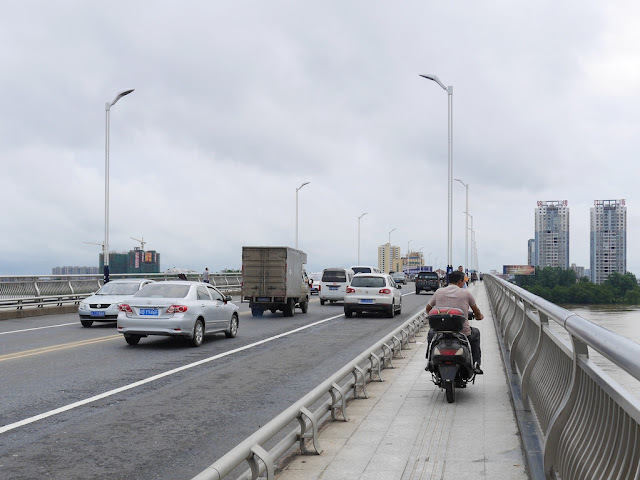 Yes, motorbike riders used the bridge's road as well. 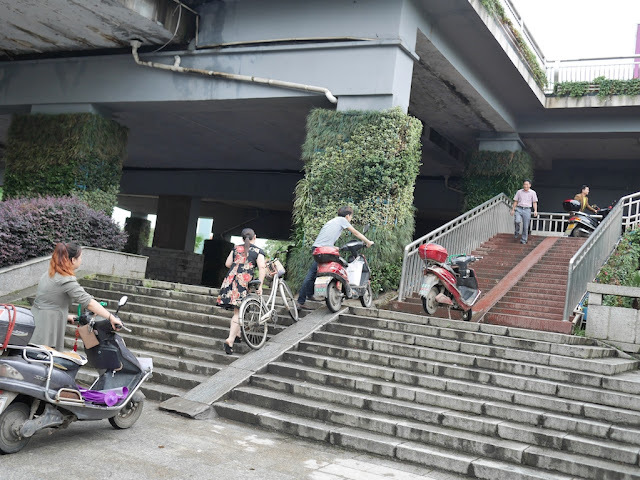 During rush hour, motorbike traffic was especially heavy and there was a regular stream of people pushing their motorbikes up stairway ramps to use the sidewalk. Notably, using the stairs and sidewalk provided a shorter route to the bridge from some locations, since the bridge's roadway could only be accessed at a point much farther away. Finally, no, unlike the signs at a bridge Chengdu, I did not see any signs indicating whether or not any of this was allowed. Whatever the case, it isn't quite like driving a car across a pedestrian bridge. 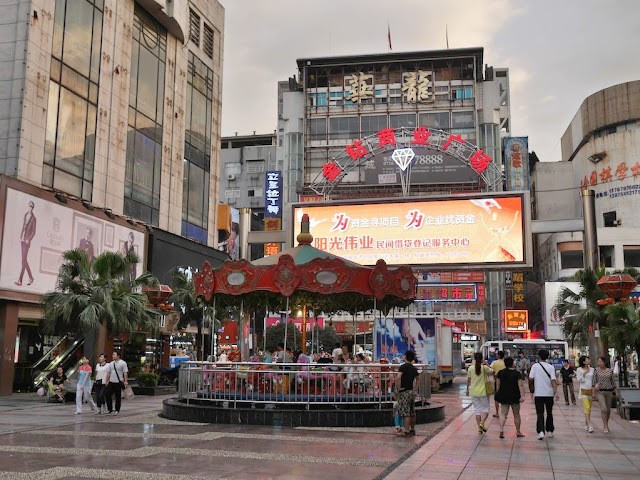 To provide a look at some everyday scenes in a yet another city not known to many outside of China, below are some street scenes, including a pedestrian street, from Changde, Hunan. 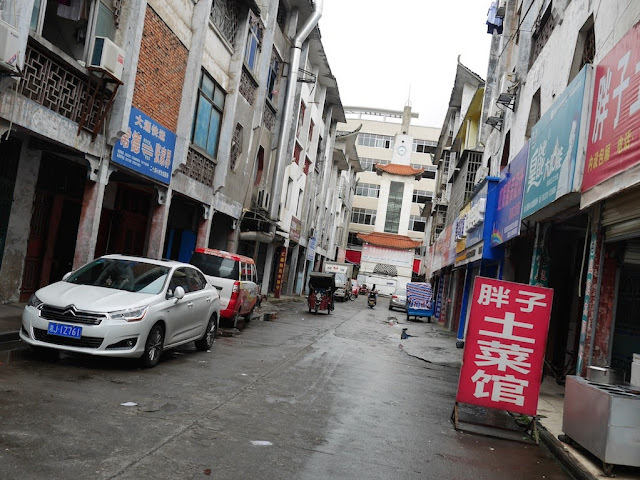 Like a set of scenes from Yangjiang I earlier shared, it suits my purposes that locals would likely consider many of them to be mundane. 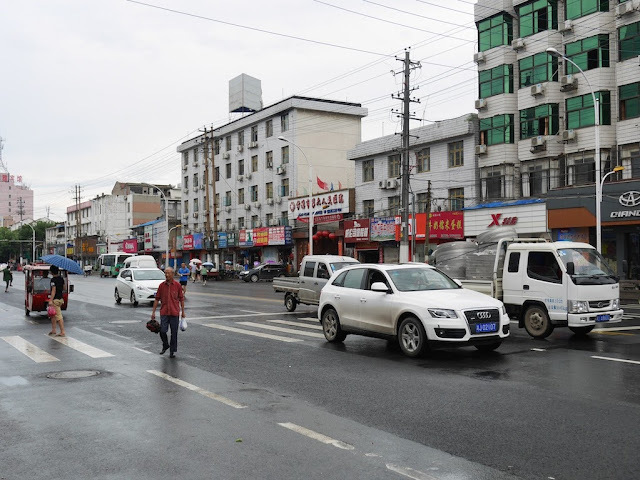 My time in Changde was briefer than planned, but I managed to cover much ground in less than three, mostly overcast, days. 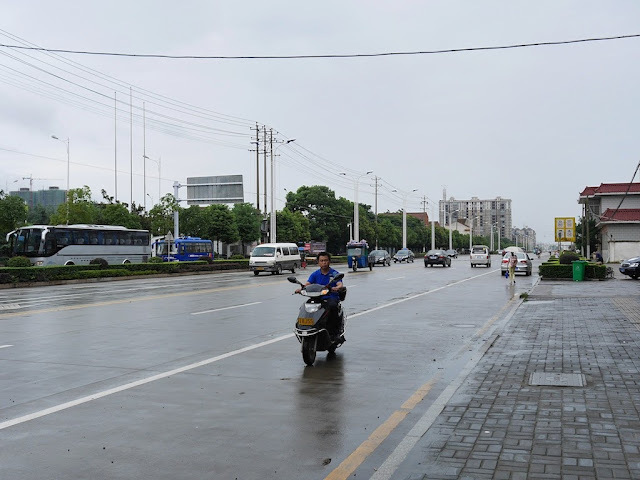 Regardless, I saw only a small portion of two urban districts, and the photos are just a small taste of a prefecture-level city with more than 5 million people. 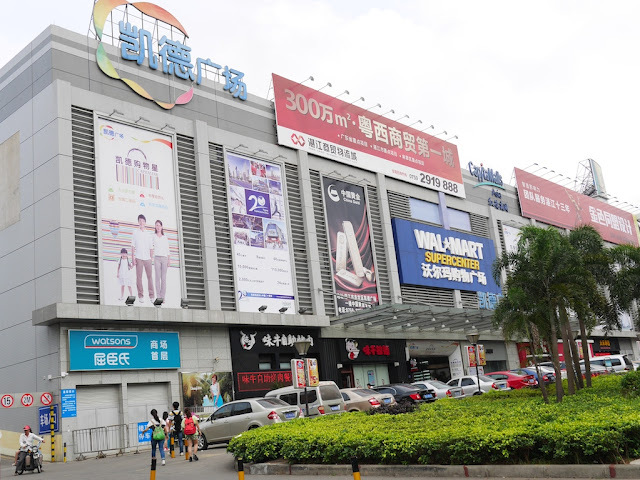 Several months ago in Zhanjiang's Chikan district I saw a Walmart in a shopping center next to the Nanqiao River. 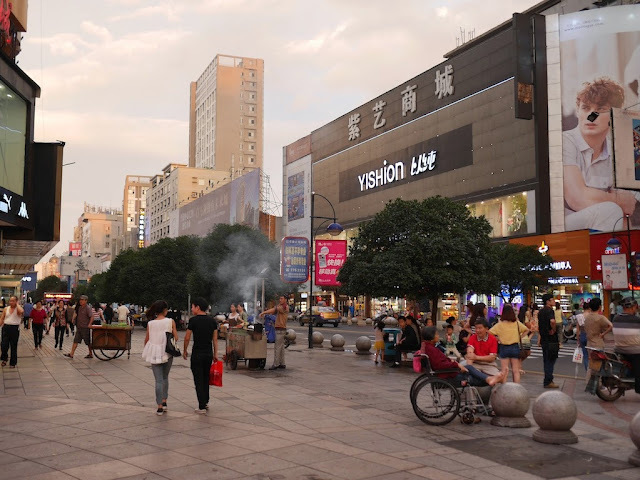 Partly because Walmart has over 350 Supercenters in China and last year announced plans to "open 110 new stores in China between 2014 and 2016", I didn't find it remarkable. 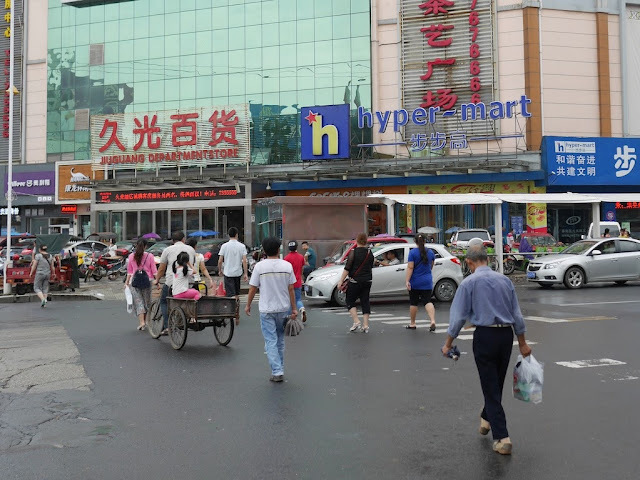 I had already seen a number of Walmarts in other Chinese cities. What was remarkable, though, was that only about 300 meters (about 1000 feet) away I saw another Walmart. I had never before seen two Walmarts so close to each other. The second store appeared newer and was clearly more spacious, although they both seemed to sell the same breadth of goods. Employees at both locations said they were not aware of any plans to close either store and the two locations were needed given customer demand. 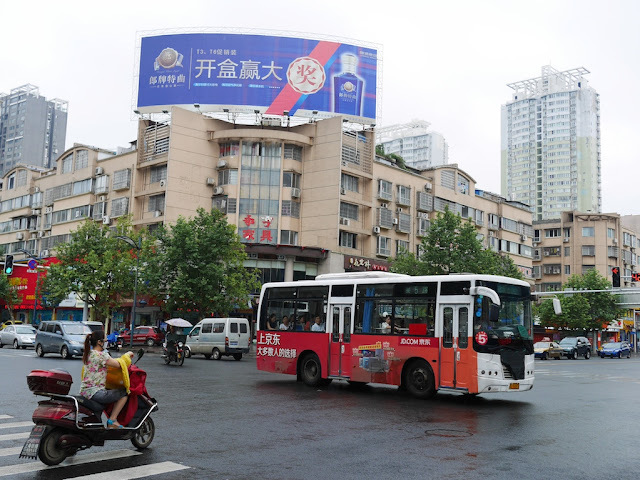 These two Walmarts stand in contrast to another Walmart I saw more recently in a city over 15 hours away by car to the north – Changde. The store was remarkable to me for a different reason. 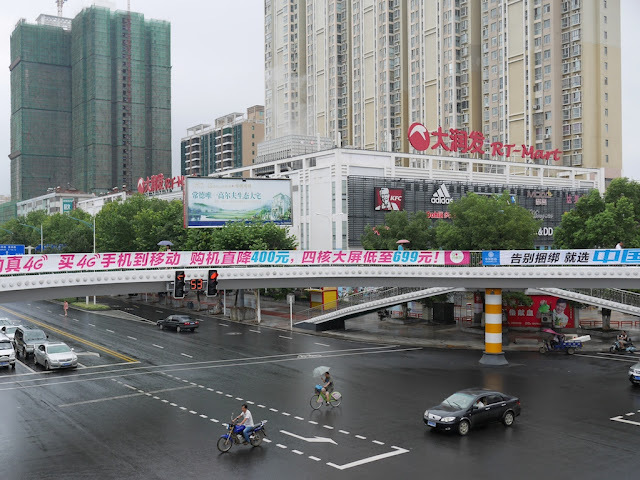 It was the first Walmart I have seen in China which had been closed down. 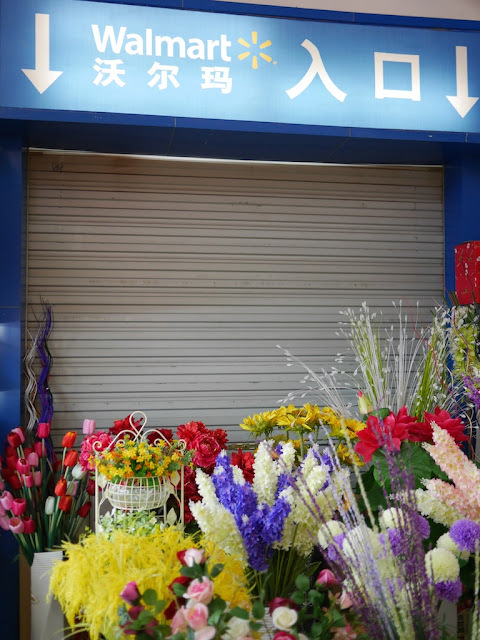 A closed entrance now serves as the backdrop for a flower stall. formally rejected a compensation claim by Walmart employees who were laid off by the company following a store closure in March. 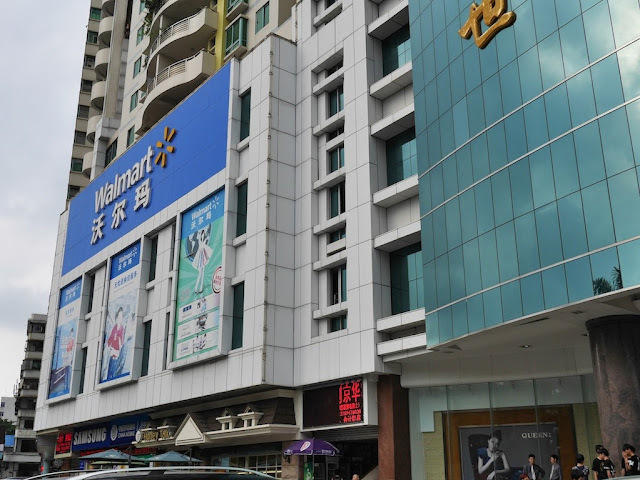 The local authorities meanwhile have been putting intense pressure on the workers to accept an unofficial settlement offer from Walmart of an additional 3,000 yuan [US $485] each. 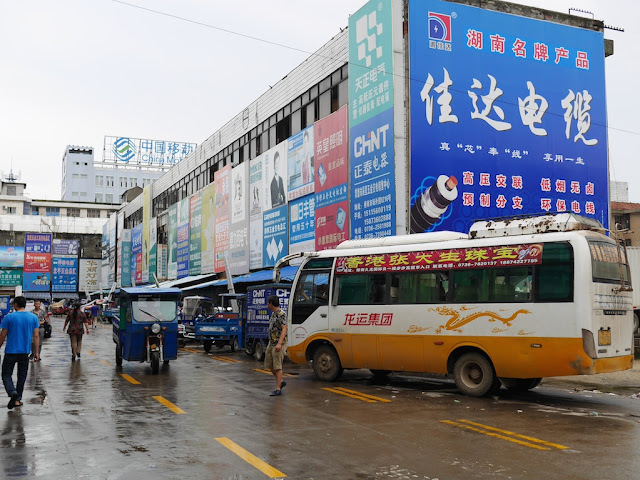 Since then, 63 workers have signed an agreement to accept a settlement from Walmart of 3,000 yuan (488 U.S. dollars) each in addition to the compensation package to end the dispute. The remaining six workers were not satisfied with the arbitration and insisted on filing lawsuits. 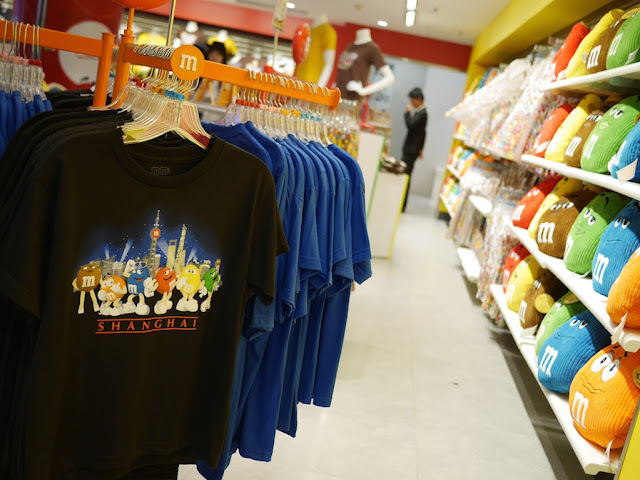 "We don't feel respected in the whole process," said Huang Xingguo, head of the store's trade union. "Even though they (other workers) accepted the settlement, they are forced by living pressures, not by their will," he said. 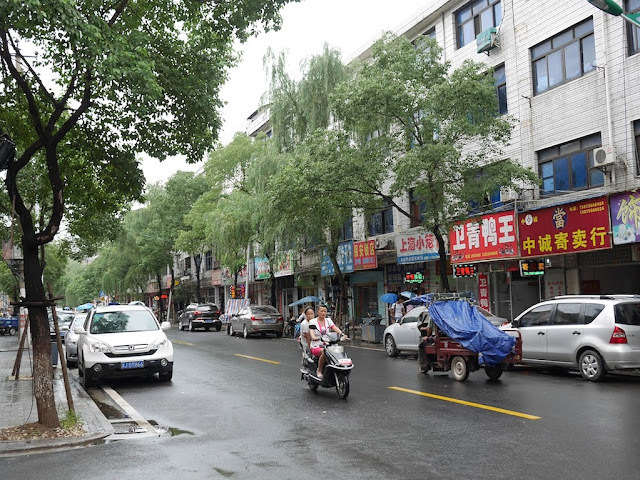 At present, the trade union of the store and four former employees have sued the Walmart store in separate lawsuits, and the five suits have been accepted by the Wuling District people's court, he said. 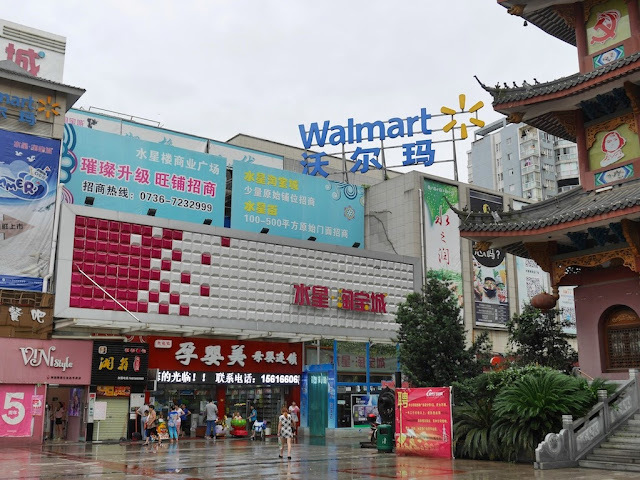 Whatever the results of the lawsuits may be, the closed store is part of Walmart's restructuring for its overall growth in China. 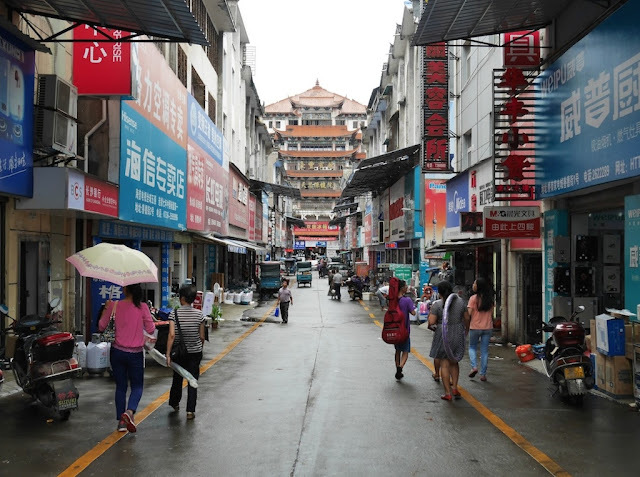 As the stores in Zhanjiang, planned new stores, and the choice for Walmart's new CEO—the previous head of Walmart China—better reflect, Walmart still has big hopes for the Chinese market.